There is absolutely no shame in searching for a owned Jaguar F-TYPE near North York. When you are dealing with a vehicle that constantly puts its competition to shame year after year it doesn’t really matter at what point you hop on the ride. A Jaguar is a Jaguar, and you are a talking point everywhere you go regardless of if your F-TYPE is used or otherwise. You may be concerned about our inventory. With a vehicle as potent as the F-TYPE, do we even keep pre-owned models? The answer is a resounding: Yes! With an inventory that defies belief we almost certainly have the vehicle you are looking for! That isn’t all a Jaguar dealership offers though. Once you buy with us – you are a Jaguar owner, and we take care of our own here. From specialized service to OEM parts we are here for all your automotive needs. If that sounds like your kind of dealership, and we really think that it might be, come and see us at Jaguar Toronto. We are located just a short jaunt from North York at 777 Dundas St E. in Toronto, or you can give us a call at (416) 530-1880 to book an appointment or a test drive. 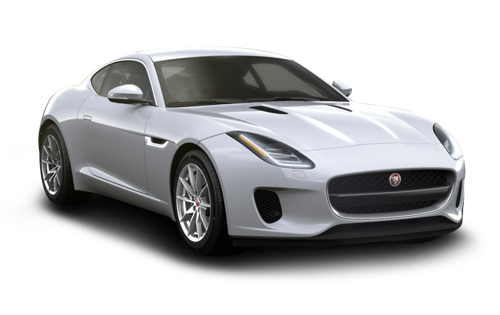 When buying your pre-owned Jaguar F-TYPE near North York you will find that the first hurdle is actually finding a used Jaguar F-TYPE. It’s not always as easy as it appears, and buying from a reputable source is crucial with a machine like this. That is why it behooves you to come and see us at Jaguar Toronto. We have the largest selection of pre-owned Jaguar vehicles in the area, and we have the expertise to bring you right to the one you have been looking for. Come and see us to get started today! The Jaguar F-TYPE is the quintessential Jaguar. It is very likely that this sleek design is exactly the one you are imagining when you think of a ‘Jaguar’. With the top down, the 10 inch touch screen managing your music, and up to 575 horsepower under the hood, you aren’t just getting glances – you’re turning heads. This is the status symbol you have been looking for, and used or otherwise, just seeing you behind the wheel is going to be a story someone tells when they get home. There is something incredibly alluring about opening up the hood of your new vehicle and tuning it up with your own hands. We understand that, but we also know that the very best way to keep things running smoothly is with genuine OEM parts right from the source here at our parts department. Come and talk to us about your upcoming project, or just order the part you need online, and we will find you exactly what you need with no headaches in sight. Here at Jaguar Toronto we are the very best place to find a pre-owned Jaguar F-TYPE near North York. We are centrally located, we have a stellar selection, and we are the area experts on everything Jaguar. Our work doesn’t end when you have left the lot either. We are committed to being your Jaguar resource for life. Once you buy with us, you are family. So come and see us soon. We can’t wait to meet you and get started! Beautiful dealership and very helpful staff.